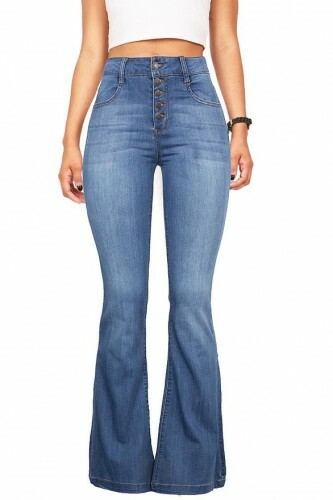 If you like to dress chic, you should focus your attention towards the flared jeans. This jeans model fits very well any type of silhouette and hides very well the eventual flaws. 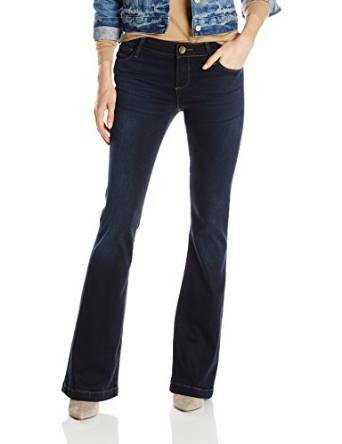 The flared jeans are so spectacular that they do not need extremely complicated combos to look great. You can wear them with a simple sweater or with a white T-shirt and your outfit would still be spectacular. You can also wear them with a simple top or with a striped one, they will make a very special and comfortable outfit too. Obviously, strong colors are also allowed. If you want to wear them with a neon top, you can do that without worries, add a pair of boots in a neutral color and everything will be perfect. Still, be careful when and where you will wear this outfit because it is a bold choice and will draw a lot of attention. If you want a very relaxed look, you can choose a T-shirt with a funny message and a pair of flared jeans. It’s worth insisting on the fact that this type of jeans is very suited for all body shapes. Indeed, these jeans looks excellent no matter the small imperfections that you would like to hide. If you have wide hips, then they are the best choice you can make because they will bring a balance to your silhouette. On the other hand, the best parts of your body can be nicely highlighted very easy with a pair of flared jeans. It is important what your footwear is when you are wearing the flared jeans. It is not easy to correctly accessorize the footwear to this type of jeans, but if you are a little creative you will be able to obtain some amazing looks. 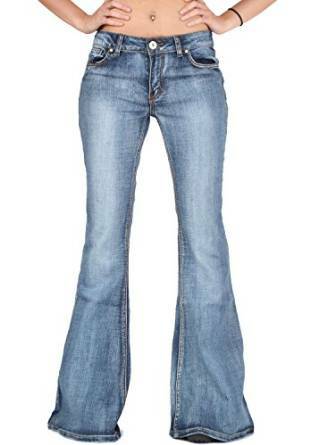 For example, a pair of platform sandals and a flower print top perfectly fits the flared jeans. Also, a pair of clogs goes very well with the vintage style given by the flared jeans. At this outfit don’t forget to add a pair of retro sunglasses and you will get an amazing look. Another excellent solution is to wear a pair of loafers. They are exceptionally comfortable and versatile, therefore you should not avoid them. 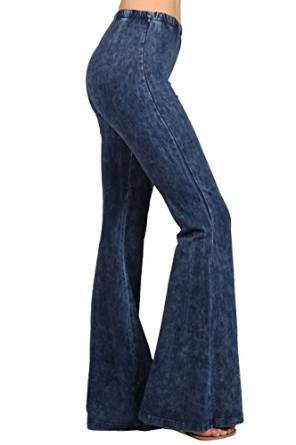 For sure, the flared jeans should not miss from the wardrobe of any woman. It is a spectacular piece of clothing that will help you create some stunning outfits.